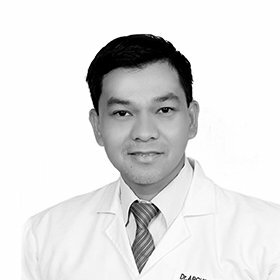 Dr. Archie has more than 10 years of clinical experience as a General Practitioner. He finished his medical degree at St. Luke’s College of Medicine which is ranked as one of the top performing medical school in the Philippines and an affiliate of St. Luke’s Medical Center, the first tertiary hospital accredited by Joint Commission International (JCI). Dr. Archie provides competent patient-centered care with compassion that addresses health needs and promotes wellness. Such care is based on latest medical evidence and guidelines and meet legislatory requirements. He seeks to build health and well-being through establishing therapeutic relationship with patients and families, application of best practice evidence in the unique context of each consultation, utilizing healthcare services effectively. His services include providing primary and continuing medical care, conducting consultation and treatment of various general diseases of common musculoskeletal problems, Respiratory, Gastro-Intestinal, Genito-urinary and other Infectious diseases of adult and pediatric patients including chronic conditions such Hypertension, Diabetes, Hyperlipidemia, Asthma, Obesity, Metabolic Syndrome, Routine and Travel vaccinations.